Jac has asked the new F1’s to look at the patient board, but they are tiring of waiting for her. Oliver : Leave it Penny! Emotionally immature, careless and cocksure, Oliver has always been something of a golden boy. He lacks confidence in his medical skills but has a natural talent. He joins the team in S11 E34, with his sister Penny, both as F1’s, whilst their mentor Jac doesn’t have the patience or mood to deal with them as it’s Joseph’s wedding day. In S11 E36, Linden decides to take Oliver under his wing. Linden then sees Chrissie comforting Oliver after he loses a patient, provoking an outburst about work relationships being inappropriate. Penny becomes frustrated that Oliver always seems to be better than her. There’s always an underlying competitiveness between the siblings. 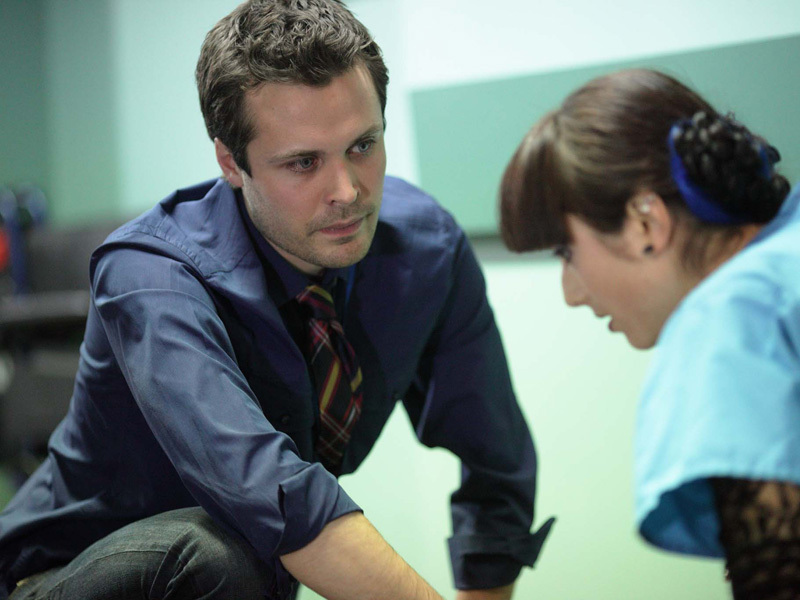 In S11 E39, Oliver infuriates Daisha when he challenges her about errors in treating a patient. His zeal pays off when he diagnoses the patient correctly and impresses Linden. Later, Chrissie invites Oliver for a drink. Next episode, Mark notices Chrissie and Oliver flirting and quizzes Chrissie about her feelings for him. In S11 E42, after knocking over the Chairman while doing a dance to celebrate his latest assignment grade, Oliver wants to show everyone that he’s not a fool. However, he ends up overstretching himself and has to rely on Daisha’s help. In S11 E43, Oliver finds himself in hot water with Chrissie after accidently sending her a rude e-mail which was meant for Penny. To apologise, he takes Chrissie for a drink. Several drinks later, a surprised Oliver kisses Chrissie and they go home together. In S11 E44, Oliver and Chrissie arrive at work after their night together. Mark confesses that he believes Chrissie is too old for Oliver. In S11 E48, it’s Chrissie’s birthday and, despite Oliver wanting to put some distance between them, he invites her out for a drink to celebrate. After feeling ill all morning, however, Chrissie disappears to the toilet and takes a pregnancy test – which turns out to be positive. She rejects Oliver’s offer of a drink and instead has dinner with her father. In S11 E51, Mark is not impressed to see Oliver flirting with Daisha after she has asked him on a date. Meanwhile, Chrissie tells Oliver that she is pregnant with his child. She struggles to work despite abdominal pains but loses enough blood to realise that she must have miscarried. In S12 E2, Donna decides to take it upon herself to get Oliver and Daisha together, but she just ends up making things worse. In S12 E5, Oliver learns that, although Jac is a witch, she is also a brilliant surgeon and diagnostician and, for that, she deserves his respect. In S12 E6, Oliver is desperate to prove that he can deal with whatever Jac throws at him, but realises that sometimes it’s wise to accept help. In S12 E7, Oliver is determined to work on a case with Jac and is delighted to spot something crucial that she has missed. In S12 E8, Oliver is desperate to complete an assessment but, when he sees Daisha needs a friend, he passes up his chance to finish it. In S12 E11, Daisha gets very cosy with Oliver before she leaves for the Philippines. In S12 E12, Oliver’s resolve to party the New Year away, meanwhile, crumbles as he realises the team needs him. After assisting Jac in miraculously pulling off an emergency operation, Oliver takes team playing to another level by getting intimate with her in the locker room. 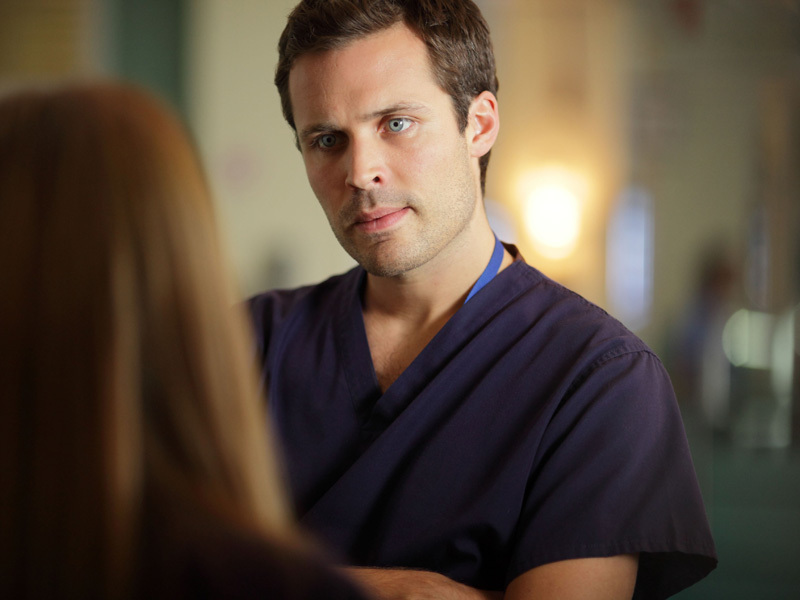 In S12 E14, Oliver learns that photos of his dalliance with Jac have been posted all over the hospital, he tries to hide them from a returning Daisha. In S12 E18, Jac is determined to prove to Michael that she is everything she claims to be in her application for the consultant job. But when Oliver lets her down she loses her cool with Penny, blows her opportunity to showcase her teaching skills, and is humiliated when her dalliance with Oliver is revealed to Daisha. In S12 E20, Penny is finding her career all too much and then patient Scott, who she has become close to, asks her to start a new life with him in Spain. She jumps at the chance. Oliver interferes telling Scott to back off and Scott realises he can’t ask Penny to give up her career. In S12 E22, Oliver and Penny are desperately trying to impress Elliot and Linden by helping in the hostage emergency. Next episode he struggles to cope as Daisha’s life hangs in the balance. In S12 E25, on Darwin, Connie learns that first impressions are deceptive when Penny turns out to be a better F1 than Oliver. In S12 E26, Oliver wants to win over Connie and Elliot after being late for a session. 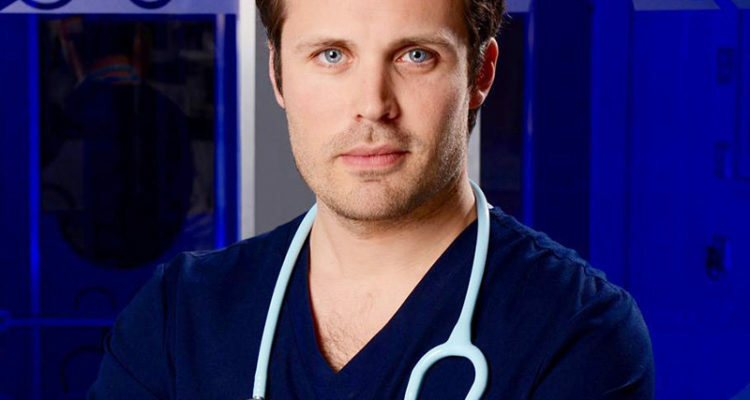 Oliver passes Penny’s research off as his own, wins praise but gets his comeuppance when new nurse Roberta, having witnessed his treachery, tells him some home truths. In S12 E27, Oliver is hungover and desperate for an easy ride. 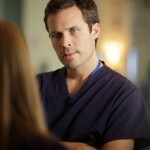 Holby Care seems like a perfect remedy – until Sacha arrives, determined to annoy him. In S12 E32, Oliver is promoted to F2 but things start going wrong. Penny notices that he is having problems with Connie’s patient, Elaine. 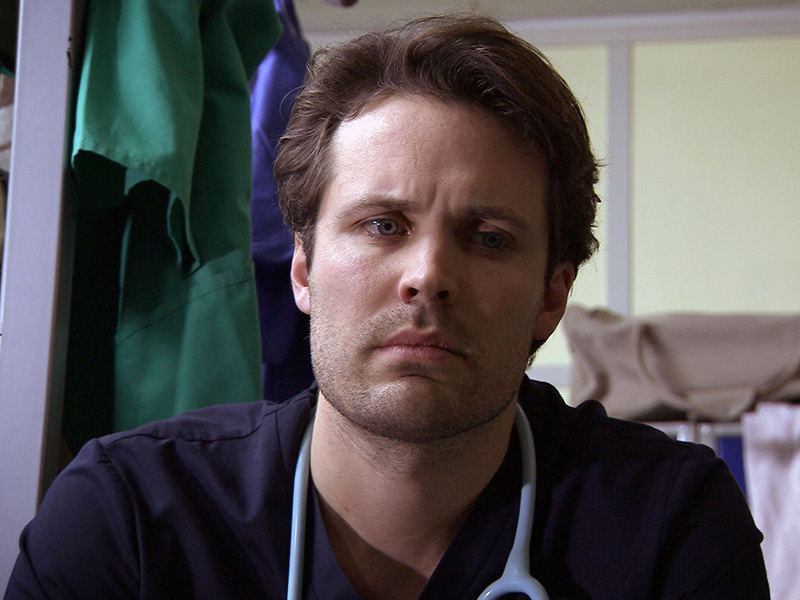 Connie is furious with Oliver and he lets slip that Penny slept with a patient. Penny is moved back to AAU. In S12 E38, Penny rebuffs Oliver’s peace offering, he decides to show her that he can be bloody-minded too and sends a patient of hers back to AAU. 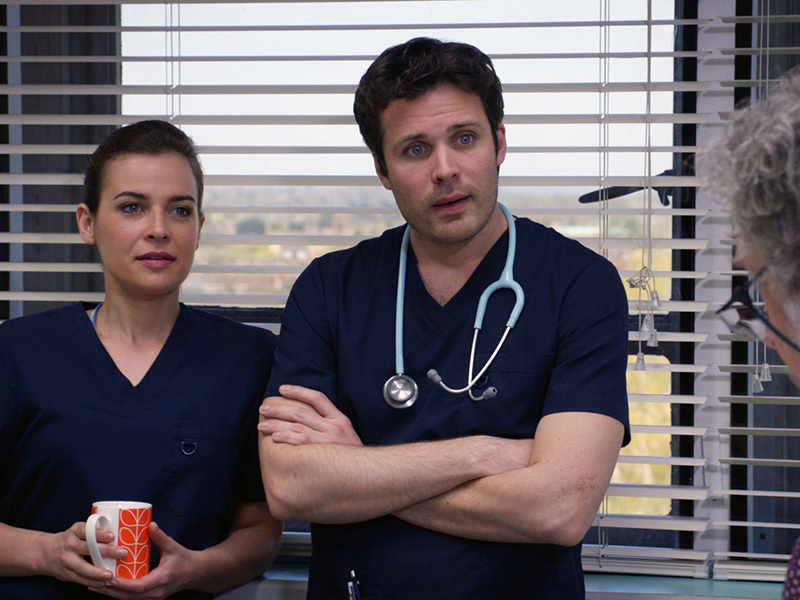 When Connie discovers that their sibling rivalry is compromising patient care, an ashamed Penny and Oliver agree to patch up their differences. In S12 E42, Elliot is uncomfortable with all of the attention that his OBE has received and is focusing on avoiding journalists as opposed to treating his patients. 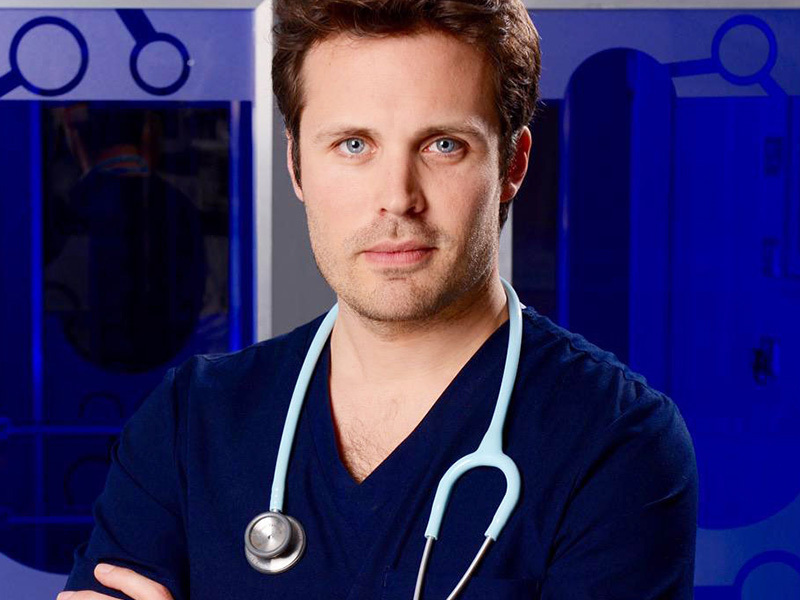 Oliver puts him in his place when a patient seriously deteriorates and he needs Elliot to oversee the case. Elliot later apologises to Oliver for being a bad mentor. In S12 E45, Greg has an awful hangover and some unwanted responsibilities as Oliver’s education supervisor and must teach him all day, much to Connie’s amusement. Greg delegates paperwork to Oliver, who ends up discovering a serious discrepancy which panics Greg and Connie. In S12 E47, Oliver stands up to Greg over a patient and makes a bad error of judgement. He thinks he’s burnt his bridges with Greg for good; instead his actions earn him respect from his mentor for the first time. In S12 E49, Oliver doesn’t want to be a burden to Greg but his desire to please him results in Oliver overstretching himself medically. When Connie finds out that Greg left Oliver unsupervised, she is horrified. 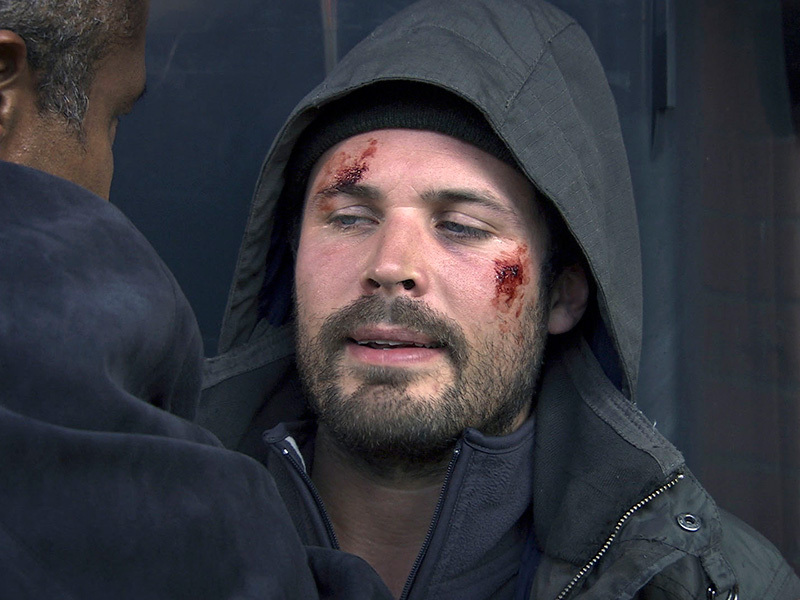 Oliver tells Greg he covered for him – Greg doesn’t know that Oliver has got him in trouble. In S12 E51, Greg discovers that Oliver told tales to Connie, blaming him for Oliver’s botched procedure. Greg gets his revenge when he discovers a patient’s attractive relative is a high-class prostitute and sets Oliver up on a date. Oliver realises he’s blown his chances with his mentor. In S12 E54, worried that he’s damaged his career prospects, Oliver desperately tries to regain Joseph and Greg’s respect. However, Oliver finds he can’t cope, until Frieda comes to his rescue. In S12 E55, Frieda is in a good mood after Oliver asks her out for a drink to say thank you for bailing him out recently. She even considers applying for an F1 job when Penny pushes her. However, when Penny realises the reason behind Frieda’s cheerfulness, she asks Oliver what he’s playing at. Oliver doesn’t want to lead Frieda on and so cancels the drink, causing Frieda to throw her application form in the bin. In S13 E5, Oliver has to deal with an asylum-seeking patient who refuses to talk. When her son becomes critical she decides to speak out, but when Oliver tells her that there is nothing they can do for him, she leaves, thinking that this will influence her son getting a transplant. In S13 E20, Oliver is one screw-up away from having to repeat his year. So, when the discovery that he’s previously made another mistake comes back around to haunt him, he sinks lower than ever before, convincing Penny to take the blame. In S13 E22, Penny is angry with Oliver for betraying her but, when a patient dies unexpectedly, Oliver spirals out of control and admits something monumental about his past – that he cheated on an exam in medical school by swapping one of his and Penny’s exam papers leading to him passing on her merit whilst she had to repeat a year. In S13 E24, Oliver is still reeling from his confession to Penny and her threat to own up hangs over him. He types up a letter of resignation but is unable to send it. During the course of the day he works closely with Frieda and is gradually reinvigorated. She encourages him to retake his F2 year and so he deletes the resignation letter. In S13 E26, Penny issues Oliver with a final ultimatum to tell Hanssen or she will, before heading to the scene of a train crash. Oliver is left alone on AAU, where he successfully carries out a difficult procedure and hopes that Penny will forgive him. 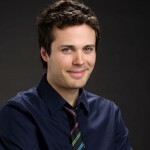 However news reaches him that Penny has been killed at the crash scene and he is devestated. In S13 E36, returning to work after Penny’s death, Oliver struggles to cope, falling firmly off the rails. Oliver has turned to drugs and alcohol. He sends Hanssen a letter of resignation, which includes a full confession. 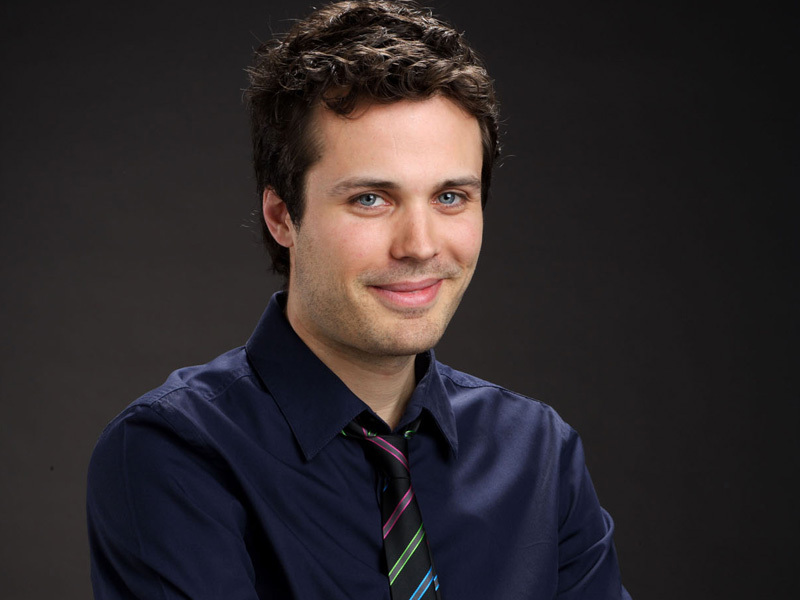 His father Tony offers him money to choose a new career, and claims that Oliver always had more potential than Penny. 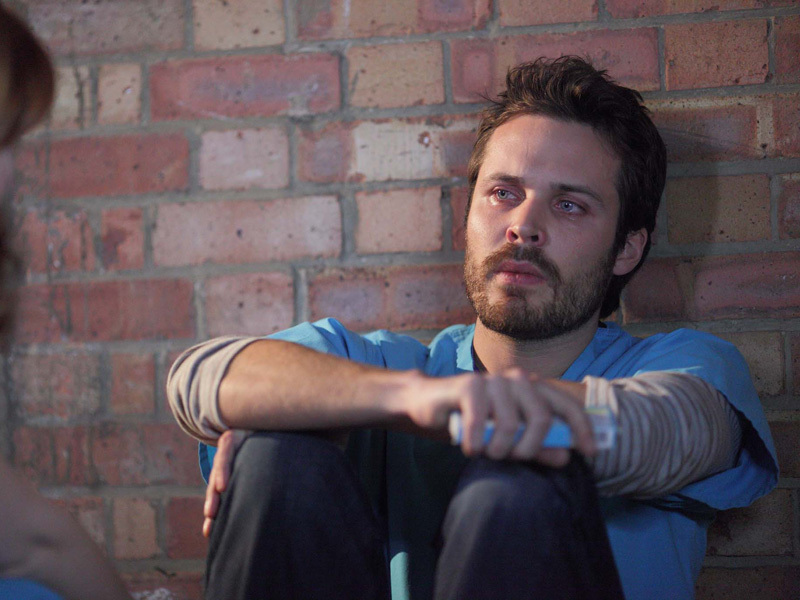 This angers Oliver, who endangers his own life to save a patient and feels reinvigorated. 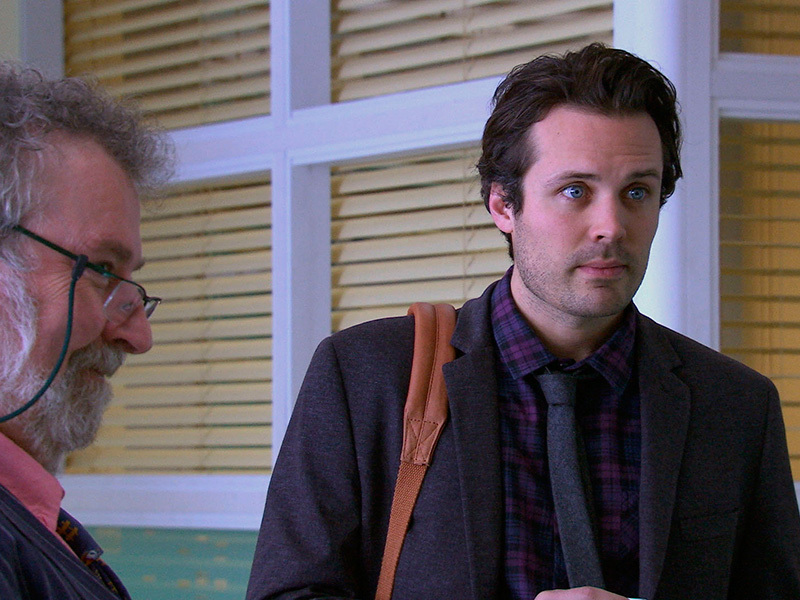 Hanssen is impressed by Oliver’s patient treatment, and overlooks his cheating to allow him a fresh start. 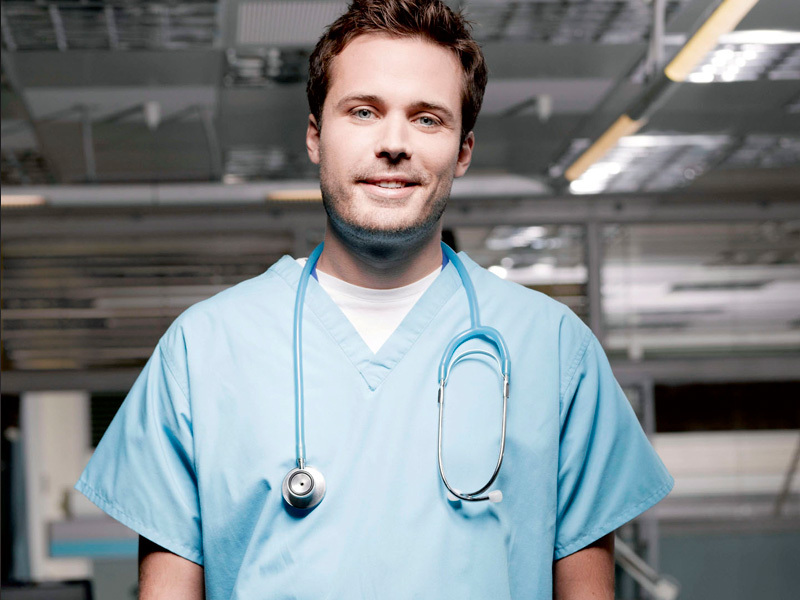 In S13 E51, tired of being Jac’s underdog, Oliver decides it is time to leave medicine and take up a lucrative job offer from recruitment officer Peter O’Gorman. When a couple with learning difficulties enter the ward, Oliver treats the husband, Chris, and Jac decides to let him lead the case. It’s not long before Oliver gets drawn into their lives and his commitment to medicine is put to the test. He later declines the job – Jac smirks that he has decided to stay, her plan worked. In S14 E3, Jac spots an opportunity to capitalize on Michael’s mistakes, and tries everything she can to distance herself from the plastics fiasco. When Jac misses out on a career enhancing procedure, she tries to convince Oliver to join forces on a new research project, but when he discovers the truth about her involvement in the plastics scandal, he has a few requests of his own. In S14 E4, in order to complete a section of his research Oliver must gather data from Orthopaedics. Dan is an F2 down so Oliver offers to lend a hand, but after seeing Dan teaching methods, he begins to consider his future on Darwin. In S14 E5, Dan delegates all of his cases to Oliver, leaving him free to plan his honeymoon. In S14 E6, with Dan on a conference in Miami, Oliver is left in charge of all things orthopaedic. He treats a patient with a damaged finger but just as she is about to be discharged, she complains of abdominal pains. Oliver assists Ric in conducting the GS procedure, whilst attempting to complete an extremely mundane task left by Dan. In S14 E12, Oliver is enjoying his new found respect and a good working relationship with Dan. He knows it’s a far cry from being Jac’s punch bag. Despite this, Oliver realises that the work is not exactly the adrenaline high octane level he’s used to on Darwin. Wanting to be loyal to Dan, he keeps quiet. When a simple ankle procedure becomes complicated he is happy to be involved again in the world of high stakes surgery. Realising where his heart truly lies he confesses to a disappointed Dan that he wants to return to Darwin. In S14 E17, Oliver connects with a grieving patient who has heart problems. 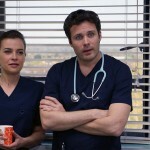 Greg fails to recognise the skills that Oliver has gained under Jac’s mentorship. In S14 E18, Oliver is looking forward to the awards ceremony, dreaming of what his acceptance speech might be if he and Jac win the award for their research project and refuses to allow his spirits to be dampened, even when Jac heaps a mound of monotonous work on to him. However, when he’s later faced with the dilemma of surgery or attending the awards, it is a race against time to achieve both. He turns up to the ceremony, to find Jac has accepted the award. 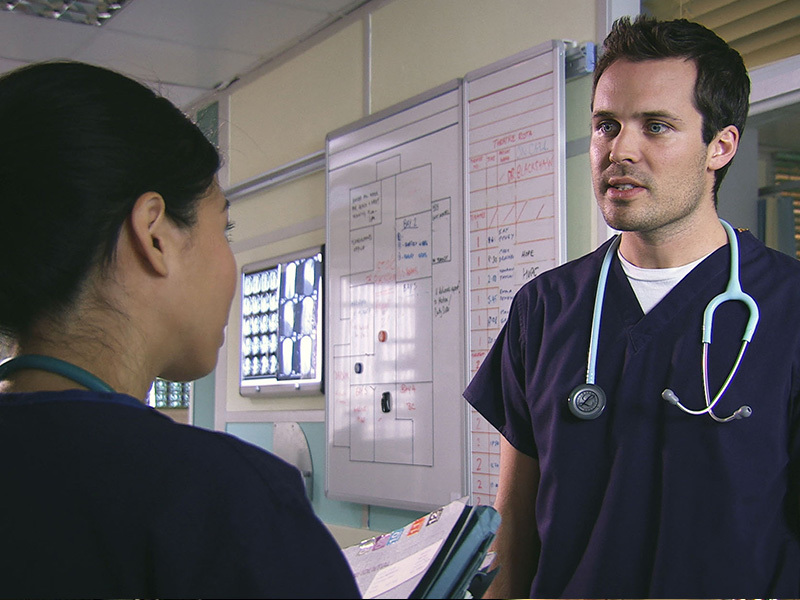 Meanwhile, Chantelle desperately wants her Valentine to be the doctor of the same name, but misinterprets Lleucu’s good intentions when she sees the young nurse whispering in Oliver’s ear. When she then sees the damaging effects that ‘love’ can have on some people she finally realises what she needs to do in order to get ‘closure’. In S14 E21, new F1 Tara ruffles feathers with her over keen attitude. As she takes on too much she nearly kills a patient and starts to doubt whether she should be a doctor after-all. Oliver eventually takes pity on her and gives her some encouragement to stay in the job. S11 E34 – Oliver and Penny join the team as interns. S11 E43 – Oliver and Chrissie kiss. S11 E51 – Chrissie tells Oliver she’s pregnant but later miscarries. S12 E12 – Oliver and Jac passionately embrace in the locker room, following a successful operation. S12 E32 – Oliver lets slip to Connie that Penny slept with a patient. S13 E22 – Oliver admits to Penny he cheated on an exam in medical school. S13 E26 – Oliver is left devestated following Penny’s death. S13 E36 – A special flashback episode, focusing on Oliver’s demise. S13 E51 – Oliver chooses between medicine and a new corporate lifestyle. 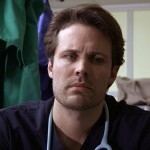 S14 E12 – Oliver returns to Darwin following a stint with Dan on Orthopaedics. S14 E18 – Oliver is faced with the dilemma of surgery or attending an awards do with Jac. “How old are you Valentine?” Jac. “Young and caffeinated!” Oliver.